2019 Cadillac XT4: Baby Escalade? Or Something Else Entirely? 2019 Cadillac XT4: Baby Escalade? Or Something Else Entirely? 2019 Cadillac XT4: Baby Escalade? Or Something Else Entirely? 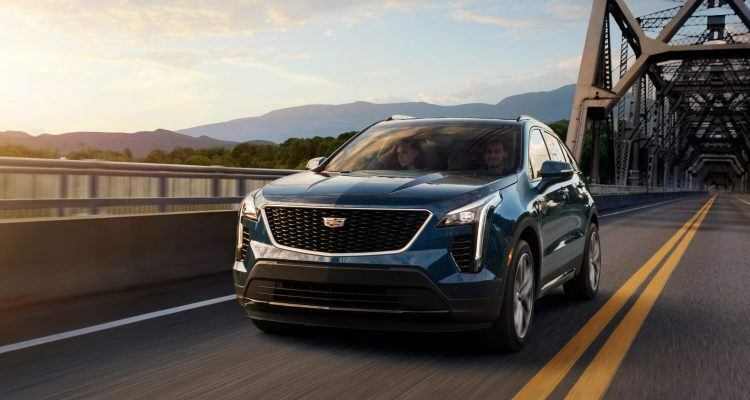 The 2019 Cadillac XT4 has strong competition but will enter the market with promising technology. There are only two SUVs in Cadillac’s lineup. The full-size Escalade is still the default choice for rap artists, movie stars, or large families. The midsize XT5 is just right for the daily commute. But if you were hankering for a more affordable compact SUV with Cadillac-levels of luxury, the XT4 is the answer. Depending on your perception, the 2019 Cadillac XT4 is either a scaled-down version of the XT5 or a baby Escalade. The 2019 XT4 is Cadillac’s first-ever foray in the compact SUV segment, going head-to-head with premium contenders such as the BMW X3, Mercedes-Benz GLC, Lexus NX, and Audi Q5. But unlike the aforementioned competitors, the 2019 Cadillac XT4 starts at a lower base price. 2019 Cadillac XT4. Photo: Cadillac. Everything about the new XT4 centers around technology. For example, it has a 2.0-liter turbocharged motor that produces 237 horsepower and 258 lb-ft. of torque. 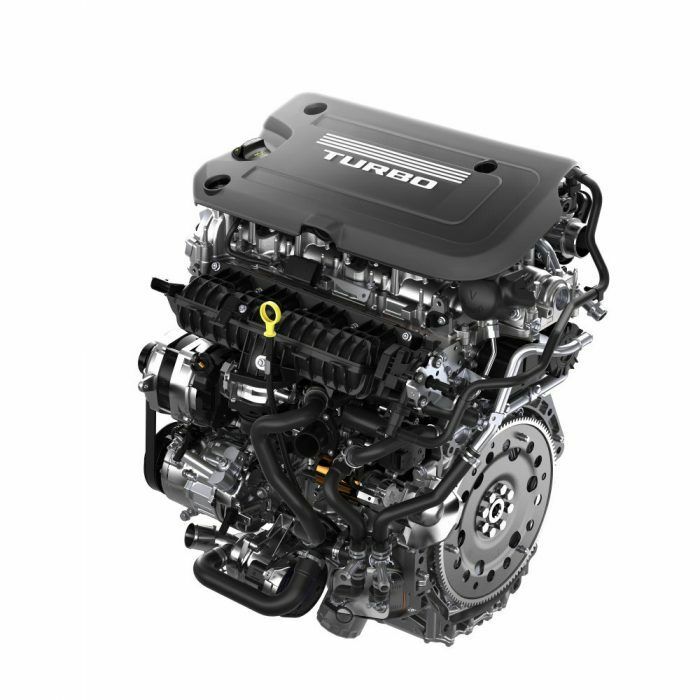 The twin-scroll turbocharger significantly enhances low-end torque. Despite the aggressive engine tuning, the XT4 delivers 24/31 city/highway mpg. This partly due to the smart design of the motor. Cadillac designed a unique and innovative double-overhead tri-power valvetrain with three operating modes: high valve lift, low valve lift, and active fuel management. In high valve lift, the engine works with the turbocharger to deliver maximum thrills. The low valve mode is the default setting in normal driving. It provides a nice balance between power and fuel economy. Active fuel management can disable two of the four cylinders when idling in traffic for greater efficiency. The high-tech engine is bolted to a nine-speed automatic transmission. The motor also benefits from active thermal management, an electric water pump, and stop/start technology. The 2019 Cadillac XT4’s chassis is constructed from press-hardened high-strength steel. The MacPherson strut front and five-link rear independent suspension are tuned for better handling and comfort. 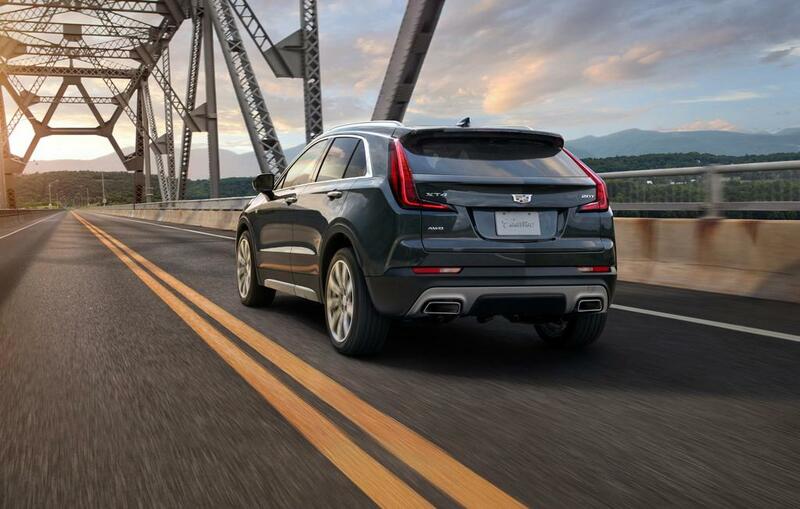 The XT4 Sport trim can be equipped with Cadillac’s Active Sport Suspension system. It offers continuous damping control by seamlessly adjusting the damping forces every two milliseconds. The refined and solid feel of the new XT4 is further enhanced by a vibration absorber tucked between the airbag and steering wheel. 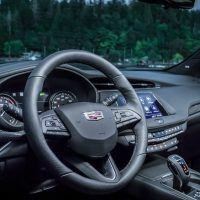 It can filter out unnecessary vibrations without negatively affecting the steering, according to Cadillac. The 2019 Cadillac XT4 has an optional twin-clutch all-wheel drive system, controlled via the Driver Mode Select System. The system balances the amount of torque at each wheel for greater traction and control when the weather gets dicey. By contrast, it automatically decouples the rear axle in normal driving conditions. If you need a simple reason why you should choose the Cadillac XT4, it would be the interior, particularly in the rear quarters. 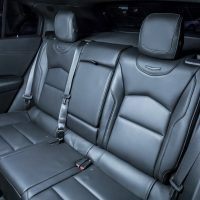 The new XT4 is strictly a five-seater, but it serves up best-in-class rear-seat legroom and headroom, according to Cadillac. The 22.5 cubic-feet of cargo space makes it practical. Fold the rear seats down and you get 48.9 cubic-feet of space, more than what the Lexus NX has to offer. The 2019 Cadillac XT4 in base trim starts at $35,790. This includes LED headlamps and taillights, power front seats, 18-inch wheels, remote start, a seven-speaker audio system, and dual zone climate control. You also get an eight-inch high-resolution center display with voice and rotary controls. The interior comes with with four USB ports and wireless charging for compatible smartphones. 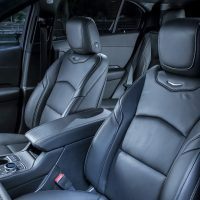 On the safety front, the XT4 comes with eight airbags, 10-years of Cadillac Connected Access, rearview camera, brake assist, traction and stability control, and tire pressure monitoring. Higher trim models get larger alloys, leather upholstery, lane change alert with lane departure warning, front and rear park assist, and an HD surround camera. The 2019 Cadillac XT4 will arrive at dealerships this fall. No Comments on "2019 Cadillac XT4: Baby Escalade? Or Something Else Entirely?"